You can create all types of banner ads in Visme, starting from the dozens of templates already provided for you under the Websites Graphics tab. 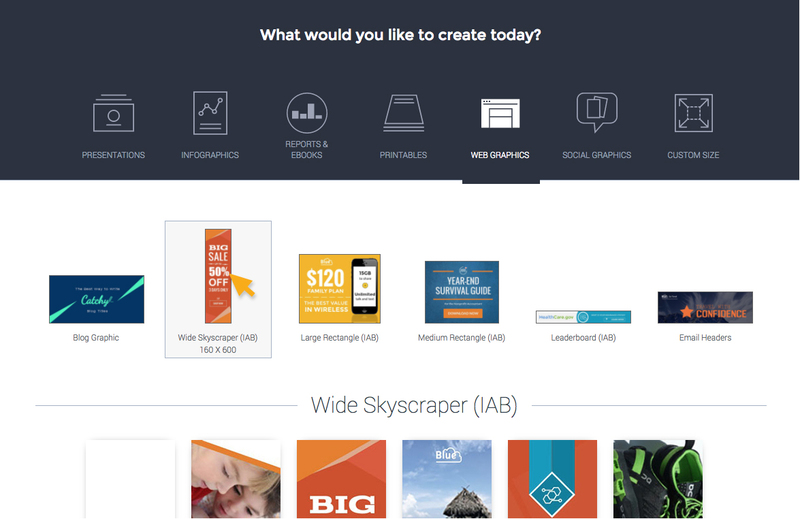 Create a new project and choose Web Graphics from the different content options. Below, you’ll see six banner types to choose from in all sized according to the dimensions established by the IAB display advertising guidelines: Blog Graphic, Wide Skyscraper (IAB), Large Rectangle (IAB), Medium Rectangle (IAB), Leaderboard (IAB) and Email Headers. 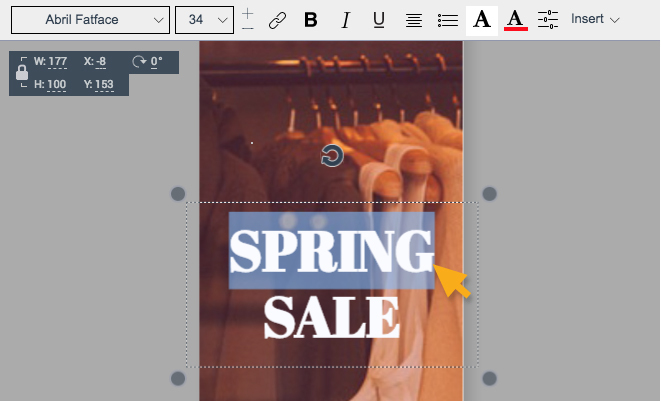 Once you’ve selected the template of your choice and you are within the Visme editor, all you have to do is to customize it with your own information by clicking on any of the text boxes and start typing. You’ll also notice that tool box will show up on the top of the panel. You can adjust letter spacing, line height and modify the padding (which is the space surrounding the text within the box) by going to the Settings. Tip: This comes in handy when you want to choose a fill color for your text box, which may be useful when you’re looking to create an interactive button or simply want to frame your central message with a specific color so it stands out from the background. you can apply your own color scheme to the text by selecting the text box (or the specific word within the text box you want to modify) and then clicking on the Text Color icon found on the toolbar at the top of your screen. Tip: Here, you can select any of the colors previously used under the Colors tab, choose from any of the 50 predefined color combinations found under the Presets tab, or create your own colors in My Palettes. 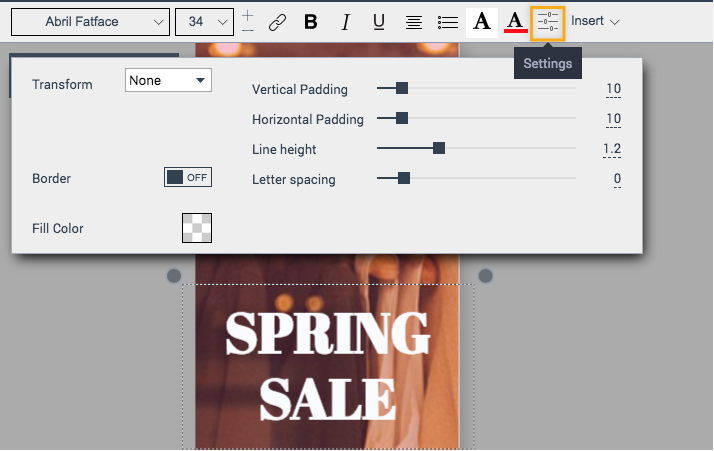 Choose any text box and adjust the size by clicking on the drop-down menu found on the toolbar at the top of your screen, or you can also select your own font by choosing from hundreds of typefaces available for you within the editor.